Row NYC meets urban grit—with grandeur. With a front row window to Times Square, their guests reside in the middle of it all, with access to everything the City has to offer—24/7. The lobby features District M, a European style café by day, a Neapolitan pizza bar and cocktail lounge by night. 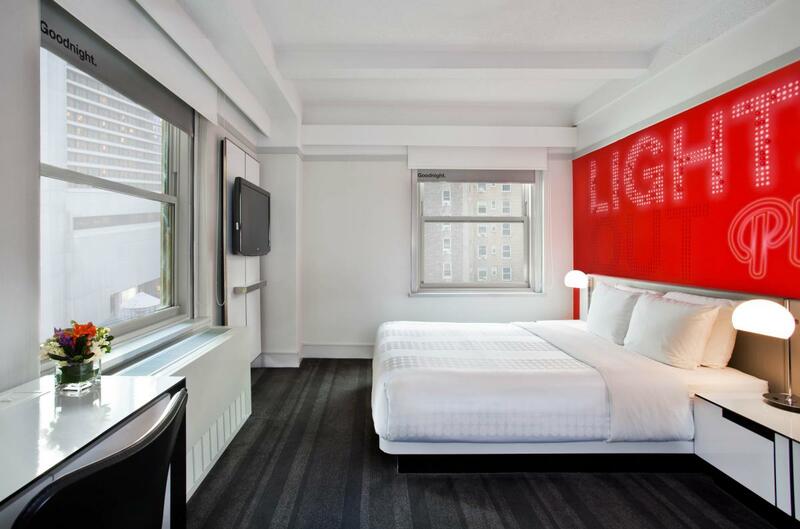 Row NYC's contemporary guest rooms are chic with Manhattan-inspired décor in white-hot hues mixed with unexpectedly vibrant custom furnishings.